Robert Mentov’s new documentary Katanga bends both narrative and documentary techniques to explore the story of Hellen Baleke, a young women from one of the largest slums in Kampala. 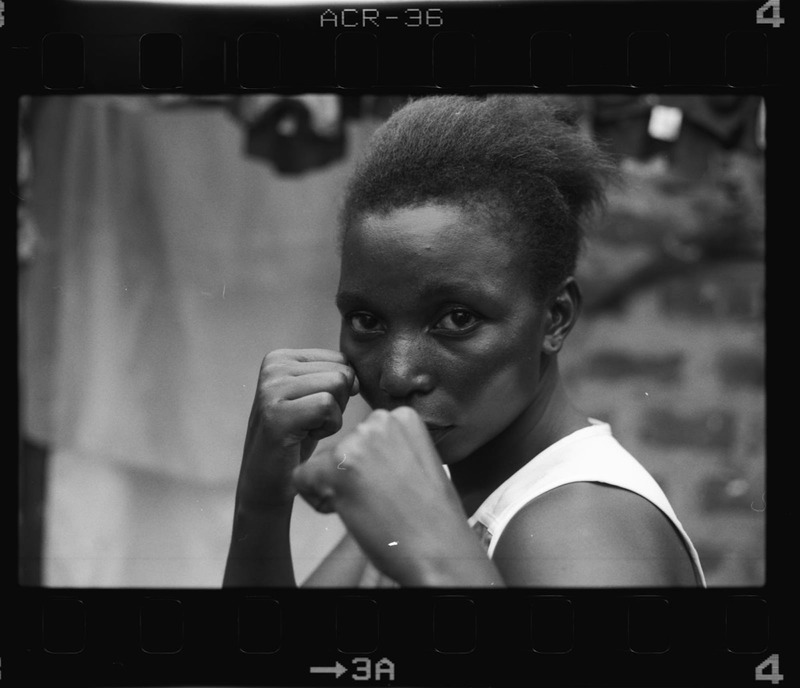 Baleke honed her skills as a boxer to such an extent that she ended up competing nationally for Uganda. Katanga follows her ascension using female boxers from the area, who have been inspired by her journey, as actors portraying Baleke. DN spoke to Robert about how he discovered this story and used multiple formats to tell it. Where did you come across the story of Katanga, Hellen, and these boxers? I came across a news article about Hellen’s story a couple of years back. 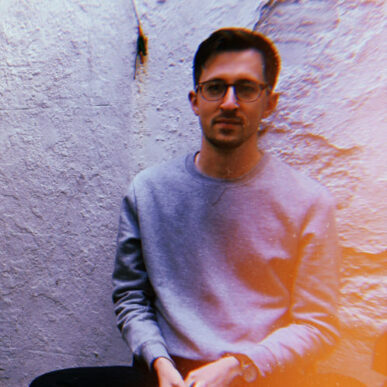 I found it to be extremely compelling, and then about a year ago, I had a chance to go to Uganda and I began planning on how to make this story into a film. Could you talk about that initial process after you decided on the idea, how did you plan what footage you wanted to capture? The creative process for me often involves an initial guide to follow but mainly relies on improvising to the environment I’m in. There needs to be a certain amount of unplanned space to explore in order to be creative when shooting. I try to be as open as possible and let things present themselves as opposed to trying to fit the film into the rigid idea of what I think the film should be. There needs to be a certain amount of unplanned space to explore in order to be creative when shooting. Once the research was done, I came up with a rough structure from the film and myself along with two other filmmakers met in Uganda before pursuing the story. From there, we met with Hellen for the first time and chatted about making a film together. The idea was that it would be a retelling of her story using the boxers of Katanga as characters. 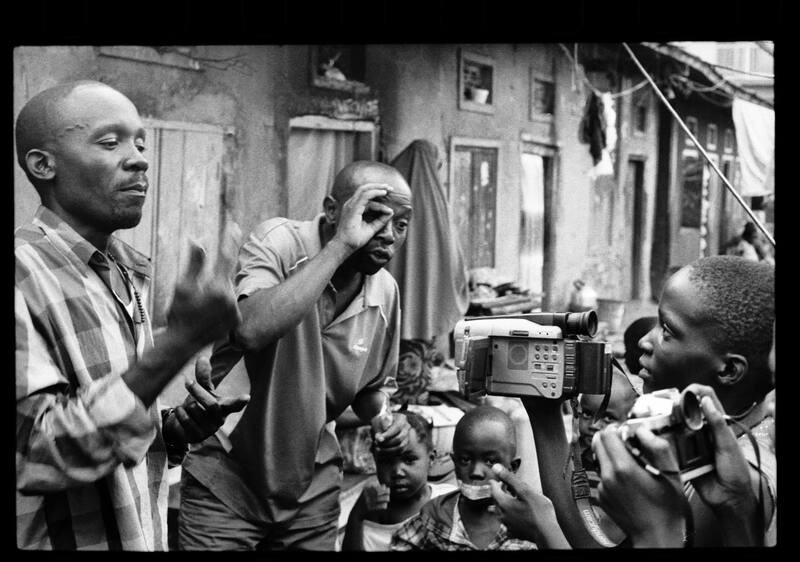 What was it like shooting in the slums, were there any difficulties in regards to practicalities and permission? It was difficult in some ways and fluid in others to shoot in Katanga. Hellen and her crew were extremely hospitable and kept us out of harm’s way. Anything can happen at a moments notice, and so we relied on their cues when seeing how far we could push the film within the space. We decided to partially shoot on film, so the workflow was particularly challenging in the environment. Things like changing a load of film out of the sun and the dust proved to be more difficult than anticipated. For me, this medium reflects the world in which we shot in and I feel that the imperfections like dust scratches on the emulsion, and the grittiness to the film texture all added to the final tone of the film. I try to spend my time and energy giving people a voice who do not often have one. What’s your hope for Katanga, are you hoping to change perceptions of the area of Kampala or is it to raise awareness of what these women are providing? With Katanga or most of the documentaries I work on, I try to spend my time and energy giving people a voice who do not often have one. Because filmmaking is such an immersive medium, I focus on stories of change and empowerment. I found Hellen’s story of rising up to be extremely inspiring and I hope that it can empower females in male-driven societies to stand up and fight back like she did. I’m currently in the editing stages of a few other projects similar to the themes of Katanga. Katanga is one of the many great projects shared with the Directors Notes Programmers through our submissions process. If you’d like to join them submit your film.